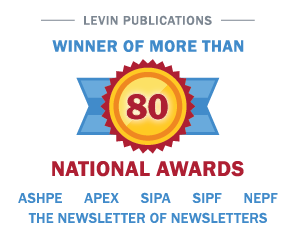 NORWALK, CT – May 25, 2016 – Irving Levin Associates, Inc. will host an important webinar— Assisted Living and Medicaid: Will it Harm a Great Product?—on Thursday, June 2, 2016, at 1:00 PM ET. The webinar is part of the Interactive Webinar Series. When purpose-built and professionally managed assisted living burst on the seen 25 years ago, consumers were starved for the product. It became the hottest development product in seniors housing within a few economic cycles, and in its early life it became an upscale alternative to old skilled and intermediate care facilities. Then Medicaid waivers came into existence for assisted living, and some of the new properties had a Medicaid census up to 20% or higher in some states. From a state government budget perspective, assisted living saved the state money as a cheaper alternative for appropriate residents than a nursing facility. Old nursing facilities that can’t compete in the subacute/rehab skilled nursing market may be turned into a modern Medicaid ALF. What started as a private pay product may evolve into a state-funded product, at least for some percentage of the population. Stephen Monroe, Editor of The SeniorCare Investor and moderator of the panel, will pose topical questions such as: Which states we will most likely see a growing Medicaid presence in assisted living; The impact on consumer demand as assisted living evolves; The likelihood of SNF conversions to Medicaid ALFs and what that means for values; What will happen to Medicaid rates for assisted living, especially as the influence of Managed Care grows in seniors housing and care; and how lenders will respond to a change like this in the market. Our panel of experts will include Jerome E. Finis, CEO, Pathway Senior Living, Joel Mendes, Senior Vice President, JLL Capital Markets, and Severine M. Petras Wells, CEO, Priority Life Centers. “Assisted Living and Medicaid: Will it Harm a Great Product?” is expected to generate an informative discussion. If you’re interested in this topic, then you won’t want to miss the webinar on Thursday, June 2, at 1:00 pm ET. Please visit https://products.levinassociates.com/downloads/assisted-living-and-medicaid-will-it-harm-a-great-product-june-2-2016/ or call 203-846-6800 for more information about this interactive webinar.